For the highest quality in blanched peanuts, choose the blanchers that are No. 1 in the world — AC Horn Manufacturing’s VB-5000 Split Nut Blancher. 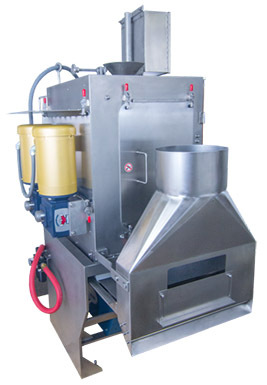 The blancher removes the skins and hearts from dried or fully roasted peanuts for the smoothest, cleanest nuts possible — close inspection reveals no traces of worn edges. 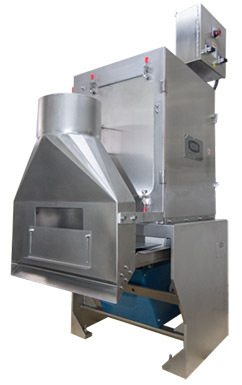 The operating range is between 2,000 to 5,000 lbs/hr of roasted or dried peanuts. The product can be blanched free of meal and results in less shrinkage than any other blancher on the market. Operation is simple and reliable. First the blanchers split the nuts and remove the skins, and then the hearts are removed from the halves. Screening separates the halves from the hearts, and aspiration completely removes the skins during the blanching process. 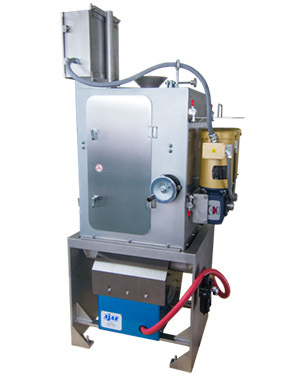 Dependable features like a trouble-free adjustable feed hopper and a dual-aspiration system allow you to blanch peanuts for peanut butter, candy and similar products with maximum efficiency. Output estimates are estimates only. Actual final output depends upon recipe and customer process. AC Horn Manufacturing will work diligently with you to meet your company's precise processing needs.